Christmas trees are an agricultural crop which are harvested one time each year. The major difference between Christmas trees and other agricultural commodities is the length of time that it takes to produce a mature product. Christmas trees require a period of eight to fifteen years before developing into a marketable tree. The majority of Christmas tree growers have developed evergreen forests from what was once land planted in corn, wheat, hay, etc. Through these Christmas tree plantations, soil erosion has been substantially reduced and a habitat for wild life has been developed. You will hear someone say that Christmas trees should not be cut because it is reducing the oxygen production of the country. However, as evergreen trees get older, they produce less and less oxygen. Many old, large trees actually use more oxygen than they produce. Additionally most Christmas tree growers replant at least two trees for every one harvested. Unlike plastic, artificial or fake trees, real trees do not use a non-reproducible product such as oil or coal from our land for development. Real trees are biodegradable and can be used for bird feeders, mulch, etc., while fake trees will eventually wind up in landfills where they will never deteriorate. Also, real trees are grown and sold in the United States and are seldom imported from some foreign country; thereby helping the economy of our nation. All in all, real Christmas trees are much more environmentally friendly than are plastic, artificial, fake trees. Get more tree facts at the National Christmas Tree Association website. 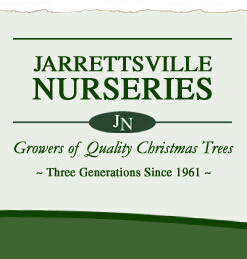 Learn more facts about articial Christmas trees at National Christmas Tree Association website.